The Qianhai Shenzhen-Hong Kong Modern Service Industry Cooperation Zone (hereafter referred to as Qianhai) covers 15 square kilometres on the bay in the western part of the Shenzhen city of Guangdong Province in China. Located at the core functioning area of the Pearl River Delta, Qianhai benefits from its close proximity to Hong Kong and Macau. With convenient transportation and high accessibility in the future it will then take only 10 minutes to reach Shenzhen Bao'an International Airport, 15 minutes to Hong Kong International Airport and 30 minutes to Central, Hong Kong. 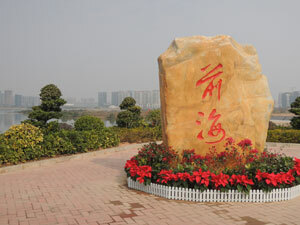 Qianhai is a Special Economic Zone (SEZ) within the greater SEZ of Shenzhen. Promoted as a demonstration area for Guangdong-Hong Kong innovation and cooperation, Qianhai serves as a pilot scheme to develop modern service industries through pioneering mechanisms and schemes. The key industries in Qianhai will include financial services, modern logistics, information services, technology, cultural and creative industries along with related professional services. By providing a total developed working area of about 26 million to 30 million square metres, it is envisaged that Qianhai will become an influential centre for service industries in the Asia-Pacific region and a global centre for business by 2020. Qianhai will capitalise on the proximity and strengths of Hong Kong as a leading international financial and business centre, with its global vision and entrenched rule of law. Through this collaboration and partnership, Qianhai will serve as a door to further open up Mainland China to the world. This means learning effectively from Hong Kong's successful experiences in being one of the world's leading business centres, with sound legal attributes, a global vision and a thorough understanding of global market forces, Qianhai will enhance the cooperation between Hong Kong and the Mainland and the world through collaboration and partnership. Shenzhen is a city of innovation and entrepreneurship and as of 2013 ranked first in China for this entrepreneurial activity. Qianhai will only further enhance this development and reputation with over 17,000 firms, including over 50 of Fortune 500 enterprises, by November 2014. 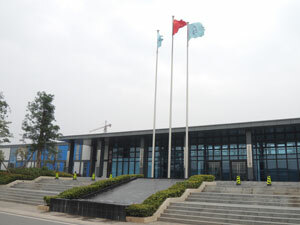 For more information, please visit the website of the Qianhai Authority at www.szqh.gov.cn (in Chinese only).